Local Fife companies looking to recruit and support young people over the next year, are being offered the opportunity to attend the Modern Apprenticeship & Job Fairs running in February 2016. 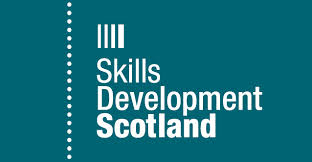 The fairs follow on the back of the immense success of last year’s Fair, organised by Skills Development Scotland, in partnership with Opportunities Fife and Fife Council Economic Development. The aim is to bring together businesses who are offering modern apprenticeships or full time roles for young people to enable them to get a first step on the career ladder. There will be many young people who are undecided about their future wanting to speak with local employers and gain an insight into the diverse and exciting careers available across Fife and in specific industries. Whether you would like to attend as an exhibitor or simply network as a delegate, you are welcome to attend - for more information and to confirm your attendance, please email June Gallagher@sds.co.uk with details of which Fair(s) you would like to attend.